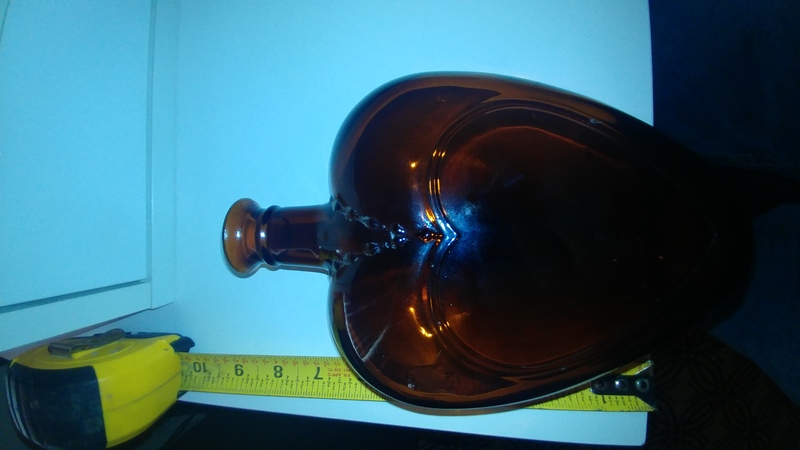 amber Heart shaped bottle and Father of His Country bottle? Can someone give me an approximate value? 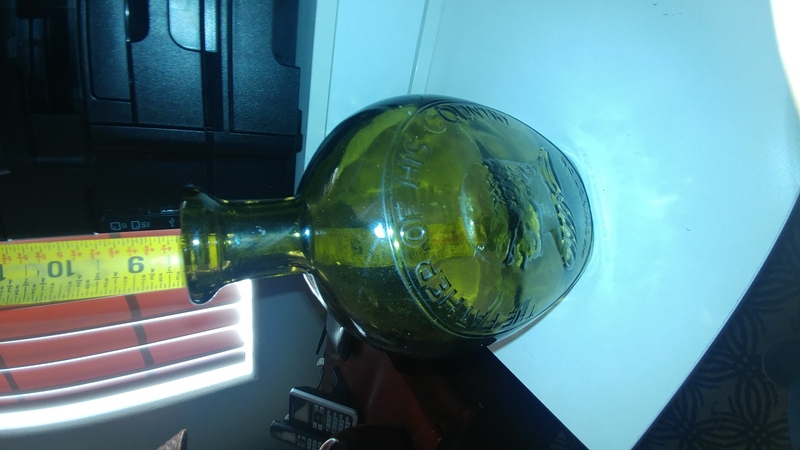 These two bottles were found at an old demolished hotel site in downtown San Diego, circa 1990. 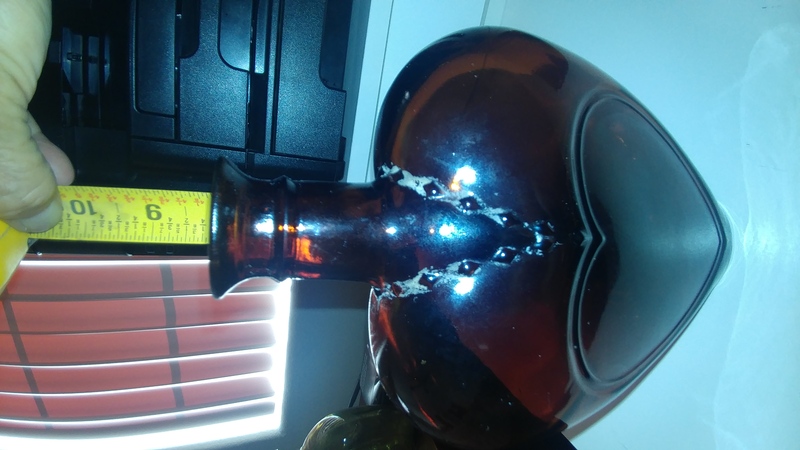 The bottom of the amber/heart necklace bottle, has "PAUL MASSON, Reg. US Pat. Off. 1600. The green bottom; WASHINTON, FATHER OF HIS COUNTRY, nothing on the bottom. 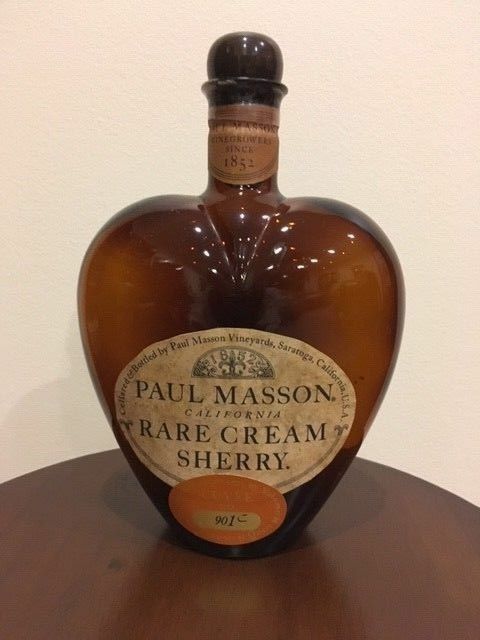 The heart shaped bottle is mid 20th century - see my photo - was a product bottle for Paul Mason Sherry. 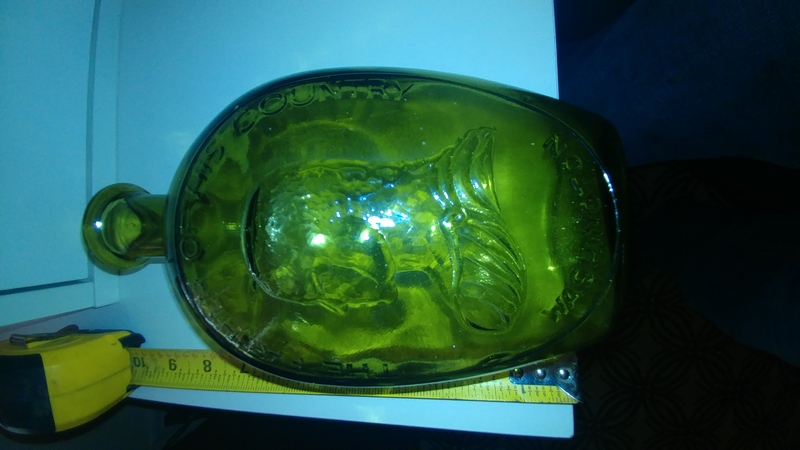 The photo comes from an eBay auction. 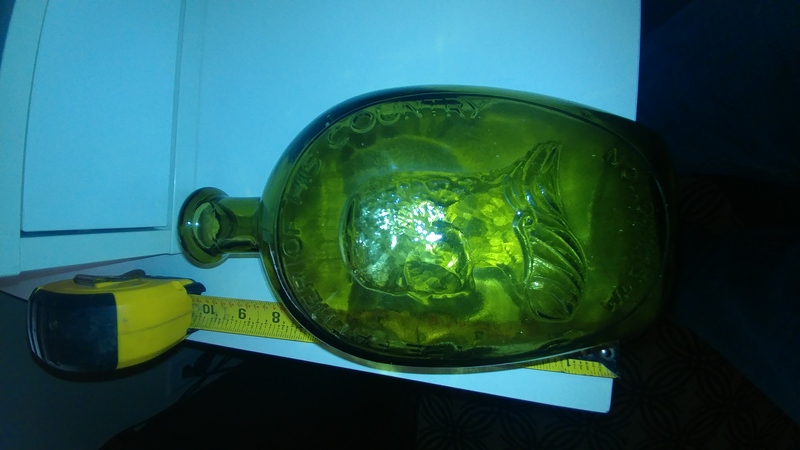 The green flask is a modern replica bottle of an 19th century historical flask. These have minor decorative value.